When we visit the library, I always try to pick up a couple Spanish books for my husband to read to the kids or Spanglish books (both Spanish and English) for both of us to read to them together. It makes a fun way for them to hear both languages saying the same things! 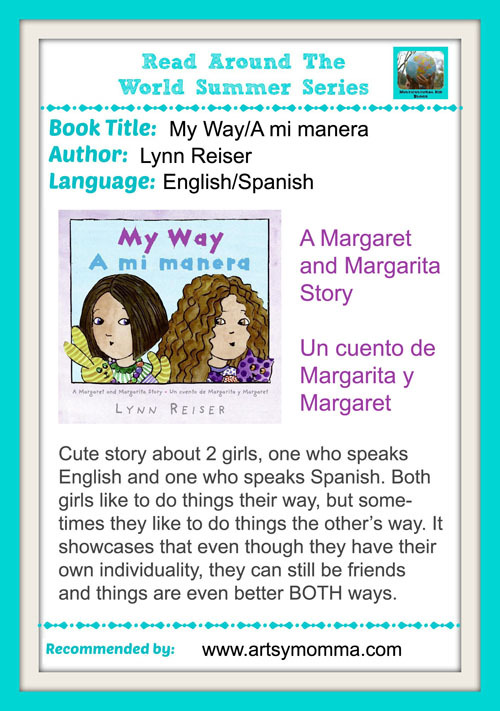 Here is our review of two story by author Lynn Reiser from the Margaret and Margarita book series: My Way/A mi manera. We also share our thoughts on the book, Margaret and Margarita / Margarita y Margaret. *This post uses affiliate links. You can read our full disclosure here for more on this. The 1st one has been in a favorite in our home since my son was 1 year old (now six!). My daughter loves it just as much as him. The 2 characters in the book are Margaret and Margarita. Both girls like to do things their way. It showcases each girls individuality doing the same things, one speaking in English and one is Spanish: what they eat for lunch, how they make their art, etc. Margaret wears her hair in ponytails and Margarita wears her hair in 2 braids. As the story goes on, each girl expresses that sometimes they like to do things each other’s way (your way). Now Margaret has braids and Margarita has ponytails. Then they show how sometimes they like to do things both ways. One way they show this is by each girl wearing their hair with one ponytail and one braid. I love this book for my kids because it repeats a lot of the same words and phrases making it the perfect way for them to get more familiar with speaking Spanish since their Papa is at work all day so they really only hear English all day. 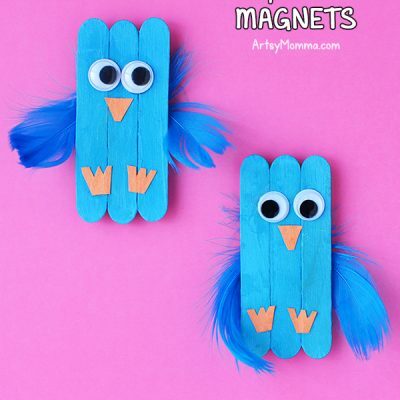 I think it’s such a great way to help kids understand that even though people look different, like different things, or may even speak in a different language, they can still be friends. And this is how I take my nap. I like to do things my way. Y asi es como duermo mi siesta. Me gusta hacer las cosas a mi manera. In this book, the girls are younger and meet at the park. Since Margaret speaks English and Margarita speaks Spanish, the moms don’t think they will be able to play together. That didn’t stop the girls from finding a way to communicate with each other and surprising their moms! They even learn a few words from each other in the 2 languages. This post is part of an awesome Read Around the World Summer Reading Series hosted by Multicultural Kids Blogs. Different bloggers are sharing their book recommendation for all different cultures. Mondays are for ages 5 and under, Wednesdays are for children ages 6-10, and Fridays are for tweens, teens, and adults….plus a few more on the inbetween days. Looking for more cute Spanish/English books for kids? Check out the rest of our Spanglish Books Category. 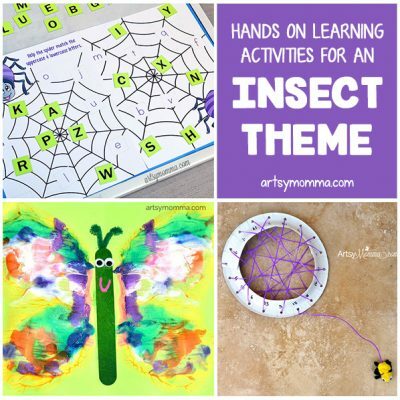 « Excited to share the Bewitchin’ Projects Link Party!